I love goji berries in smoothies. It may seem odd but I like to soak them overnight and use the water and the berries for the actual smoothie base. 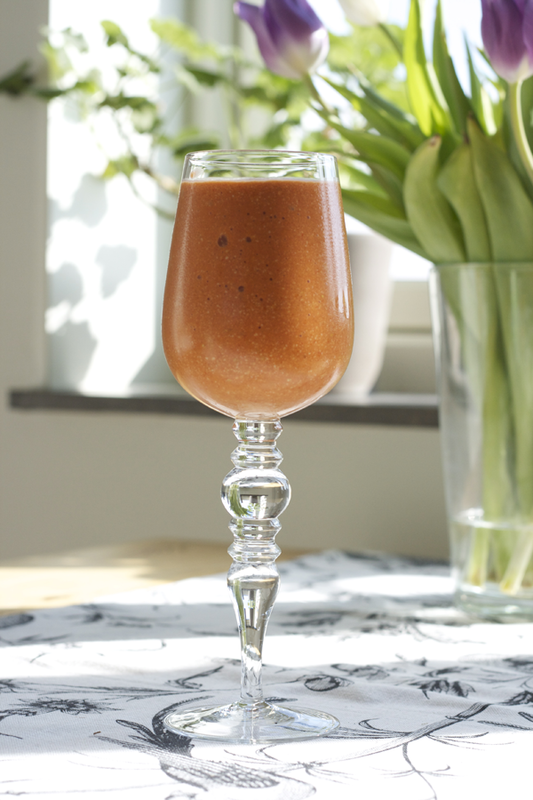 This is a perfect pre or even post workout smoothie, packed with godness to the very hilt! Soak goji berries and raw cashews in water overnight. Keep the water from the goji berries and use as a base for the smoothie. Rinse off the cashews and add to a blender. Pour in the goji berries and the water, add frozen mango. Blend until smooth and serve in pretty glasses.